Foxboro is an exciting new band making a big noise in Des Moines. Made up primarily of music majors from colleges all around the country, the band’s excellent songwriting abilities and superb musicianship help them to create music that is funky and fresh. When asked to describe their music, drummer Jeff Oatts has this to say: “We have never been able to place a genre to our music, so we just call our music Progressive Funk. Our live shows can best be summed up as FUN(ky).” These shows have been creating quite a following for the band, and I would encourage anyone who has the opportunity to check one out. You will not be disappointed by Foxboro’s high energy entertainment. 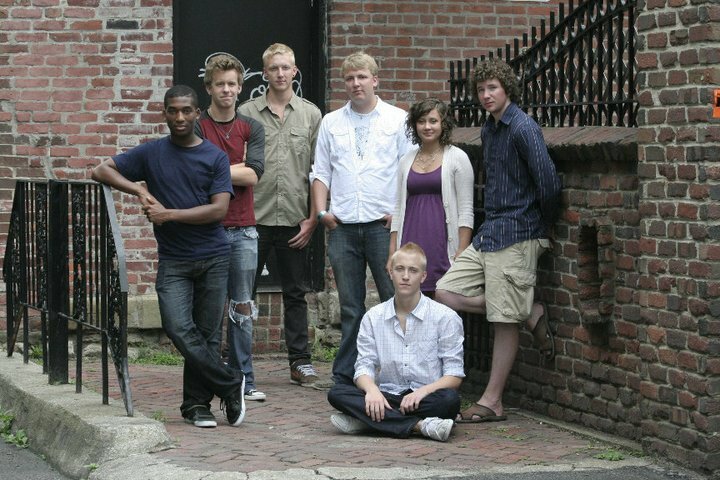 The band first began in 2007 with the name Joey is Just an Alias, and from that evolved into Foxboro this past January. In addition to Jeff Oatts, the band consists of Chris Oatts (woodwinds and vocals), Eric Oatts (tenor sax), Travis Patton (electric fiddle), Dan Kristan (bass), JT Minor (guitar), and John Cheatem (lead vocals). The nontraditional instrumentation gives the band a unique and refreshing sound, in a time when so much music sounds the same. Foxboro just finished recording their first album, “Time to Say Hello,” which they hope to release this August. It will be made up of seven original songs, each very different from the others. You can check out Facebook for news about the band, and info about their CD release party in August.